IELTS-blog has everything you need to prepare for the IELTS exam by yourself.The whole idea of this blog is to remind you that you’re not alone, to share knowledge and experience and to be a place where we help one another improve our English. You will find here valuable info about the IELTS test, strategies, tips and secrets of success. The right side-bar has lots of links to free IELTS practice tests. I will tell you about the common mistakes my friends and I’ve made and we will warn you about hidden traps in the IELTS test. Feel free to leave comments, ask questions – this is what IELTS-blog is here for! NEW! Register And Get All The New IELTS Exam Tips and Questions Sent To Your Email – Free Service! I value your privacy, your e-mail is safe with me. NOTE: IELTS is jointly managed by the University of Cambridge ESOL Examinations (Cambridge ESOL), British Council and IDP: IELTS Australia. This website does NOT represent or affiliated with any of the IELTS Test Partners. The official IELTS website is www.ielts.org. Studying for the Academic IELTS? “Target Band 7” book is now available for download worldwide. View our special offer and get it for the discounted price here. To see what’s inside the book, read it on Google books here or download it for free trial here. Worried about your General IELTS exam? This special offer makes “Ace The IELTS” book affordable for everyone! Want to share information about your IELTS exam? I want to know everything – click here to tell me. Happy with your test result? Click here for your chance to win the IELTS test results competition! Problems with the IELTS Writing section? We can help: registered users of IELTS-Blog can get their tasks graded for the best online price by a team of experienced IELTS teachers, including approximate Band Score, remarks and suggestions. Please read how to submit your writing tasks here. Note: “Target Band 7” and “Ace The IELTS” users are getting a massive 45% discount on writing assessments as a bonus. IELTS stands for International English Language Testing System. It is an exam intended for non-native English speakers. Its purpose is to find out what your level of English is (your result is a band score from 0 to 9). Usually you need to take the IELTS test if you are applying for a job or to study in a college or university in an English-speaking country or if you are migrating to such country. There are 2 modules of the IELTS test – Academic and General. The Academic Module is for future students and the General Module is for immigrants. The Listening test takes about 40 minutes – 30 minutes to listen to a tape and to answer questions on what you hear, and 10 minutes to transfer your answers to the Answer Sheet. The Reading test takes 1 hour and your task is to read passages of text and answer questions according to what you have read. There are also other types of assignments which I will cover later on in other posts on this website. The Writing test also takes 1 hour and is divided into 2 sub-parts: you are given 20 minutes to write a letter/report and 40 minutes to write an essay. The Speaking test takes up to 15 minutes and consists of 3 parts: a Personal Interview, a Cue Card talk and a Discussion. All the parts continue one after another, and only before the Speaking test you get a break. Sometimes the Speaking test is even held on a different day. (*) The order of IELTS sub-tests has been changed in Australia – learn more here. 1. Call your local IELTS test centre and find out the dates when you can take an IELTS exam and how much it costs. Note: the dates could be different for the Academic and General IELTS exams. 2. Download and print the application form, fill your details, enclose your photos, a copy of identification and, of course, the money and send it to your local IELTS centre. 3. Make sure they received it and allocated a seat for you on the date you have chosen. Get more IELTS preparation tips and advice here. For information on the new, IELTS Life Skills test – click here. good thing i found this website! i am doing a self review and i am kinda mixed up when it comes to what books am i going to study..
may you please recommend a good books? for me to study in a month..
i am soo looking forward for your reply. I can actually recommend a good book (which I wrote especially for people to prepare in as little as 3 weeks). Have a look at Target band 7 here, you can download a free trial version and decide whether you like it or not. People are telling me it does wonders for their IELTS score. i read your article above ielts topic its clear and giving guidence for the students those who want to learn the ielts. Great guidence you are furnishing in your website. Could someone tell me how useful will be my TOEFL study for taking IELTS? Should I take full course of study or I may skip some parts? Really appreciate all the great iellts information. Thanks. I really wanted to comment on the post about the dangers of relying on internet information. As fabulous as it is (“the world’s biggest library at our fingertips”), it’s difficult to know if some item you’ve found is the current best understanding on the topic. You cant go by the copyright date at the bottom of the screen as that may be controlled by a script that auto-updates each year. Well in this website you can rely on the dates – they are in the titles of the posts and are never changed by any automatic software. I hope it reassures you. I really love this Blog and I recommend every one who is taking IELTS exam must read and make a habit to visit this site. I bought the book “Ace the IELTS” just couple week before the exam and I read only once. I did excellent in my Exam. Thank you for sharing! I’m glad the book helped and that your exam was a success. Firs I’d like to thank you for your existence 🙂 unfortunately i failed at my first IELTS exam but without you it would have been a lot worse. The help of private professionals is really good but kind of expensive, that can you recommend, cos I’m really desperate. What private professionals do you mean, and what do they charge to check your work? I wrote my ielts test last year i was quite disappointed with my writing section i got only 6.5 howeevr my target was minimum of 7 and still i am not confident about it but i have to write the test as soon as possible and score indivisual 7 in all 4 of them which is not as easy as we say!! !i want to knoe if i sent my essay for correction with you guys does it count as task 1 n task 2 as 1 or as a different ? ?n wat about the task questionaires do you provide us or do we have to manage with the other provided in the website. i would be very grateful to you if you help me solve my quiery? Hi Sibyl, our teachers will be happy to help you. Every task, an essay or a letter or a report is counted as one task, and we do send out task questions for people to practice on. I hope this helps, send us an email if you have any questions. The IELTS can be difficult for some and this information on your site is very helpful. I have read many other sites that are free and that is where I would direct my time on, I would never pay for it since there are a ton of resources online. Iam very happy because I get band 7.5 inmy first attempts, and I am very delighted for it. thank you for everybody who helped me to tackle this problrm. IELTS blog is very excellent site. I never attend in any class, I just use books and videos from library and sites. Hi there, thanks for your comment, english-test. We count task 1 and task 2 as 2 separate tasks, and yes you do get lots of topics to practice on when you sign up to use our writing correction service. hi all. i given my ielts exam yesterday, i hope to get good score, ielts target band 7 buk helped a lot. Starting trial tomorrow! Thanks for the chance to evaluate the book for free! I have no much knowledge about IELTS. I have master degree and i am proficient in English speaking and reading. But not proficient in writing. I want to Increase my writing skills. How it is possible? Hi iftijafar, you should receive an email from us soon with the answer. Won’t be long. I want to get IELTS minimum 8 Bands but I am from non english country, so I am feeling maybe due to grammer/spelling mistakes as well as axcent I am fail to get. I need your guidlines what to do & how to do???? I didnt correct my mistakes by spell check, because you get to know my level of english. I have tomuch time to appear in exams but I want ASAP. we’re sending you an email with suggestions on how to study. You’ll receive it shortly. Sorry to tell you this, but the chance re-marking will improve the reading score is not big. Writing and Speaking are sort of subjective skills and sometimes it will help to get the work re-marked by another examiner. Reading and Listening are clerically marked, there is no examiner’s judgement involved – the answer is ether correct or it’s not. Hi folks! I´ve just received my academic test score. I got an overall score of 7, which I must say it´s great for me. Well, thanks to all your contributions!! First I would like to say thank you for this great website and the book Target Band 7. I used it intensively and my first attempt was over all-7 (7L, 7R, 7W, 7.5S), while second time improved to 7.5 (8L, 8R, 6.5W, 7.5S). As you can see, for the second time although overall score was higher, writing was reduced to 6.5 which is quite minimum. My question is which result I shall submit to university application. Even though the first result is lower, it shows evenly over 7 in all sections, which may give a better impression than having writing 6.5 even other sections resulted in better scores. Some schools require 7 in each section, so there is no question, but question remains for those requiring only overall 6.5. Thank you for your advices. Congratulations on getting these excellent scores! In regard to your question, I think you should send the score that meets the university requirements. Some places rule out 6.5 and in that case you should send the result where you have 7+ in all skills. Well done! Good luck with your application. Great result! Congratulations. I am happy IELTS-Blog.com was able to help. Thank you for the job that you do for IELTS students. The book you published is really useful! It would be great if you post several IELTS Speaking model answers with different bands. i want to get a clarification on Point System on Age. Now im 32 years and 2 months. So how much i get under age category ? is it 30 or 25 ? Does striking words or subscripting/superscriting while reviewing writing task 1 or task 2 attracts penalty?It would be great help if some one can suggest me how self review of writing Task 2 to be done? how can the mistakes be corrected while final review? > some one can suggest me how self review of writing Task 2 to be done? > how can the mistakes be corrected while final review? I have been following this website for quite a while. This blog has definitely helped me in my preparation for the exam.I have recently given my Ielts academic test in Australia. They have given two pie charts, they represent the different kinds of energy produced in the years 1983 and 2003. Some people believe that trade and cultural relationship between the counties is development. While others think opposite. Please explain both the views and your opinion. Do you stay in a apartment or a house? Which is the favourite room in your house? Are you planning to move house in the future? Do you think children need friends? Is it good to have multicultural friend for a child, in what way? Explain the advantages of using technology for teenagers? Thank you Amuktha! Your update will help all our readers prepare for IELTS better. Hope you get a great IELTS score in your exam! Hi Krishna, to get our daily emails just enter your name and email address in the form at the top of this page, and we will start sending you IELTS tips, materials, updates and more, absolutely free. Hi Sajina, sorry to hear you’re nervous about the exam, but it’s completely normal – everyone is. The best medicine to cure that feeling is to prepare well and feel in control of the exam material. If your writing isn’t good enough now to get the score you need, you can use the most recent writing topics we post daily on our website. Train to quickly come up with ideas on what to write about for each topic, and train to write according to IELTS format (read more about that here). If you need someone to check your writing, we have a team of experienced IELTS teachers to help you. Hi Surinder, we can see your subscription is active and you received and opened two of our emails. You can expect an email from us every weekday, and it may include IELTS questions, materials, resources, tips or sample answers. Hi Manpreet, without discouraging you I have to be honest, 2 weeks may not be enough to raise your score to Band 8. Reading your comment I can see some spelling and grammatical errors, Band 8 candidates need to be good at grammar and spelling. This book can help you raise your level to Band 8 – but it will take more than 2 weeks. If you can, consider postponing your exam date to allow you to study the book first, and once you are scoring Band 8 at home reliably doing practice tests under exam conditions, you can book a real test. Hi Sherin, IELTS is quite reliable in terms of assessing your writing. If your score is consistently low, it’s probably not because there’s something wrong with the test. 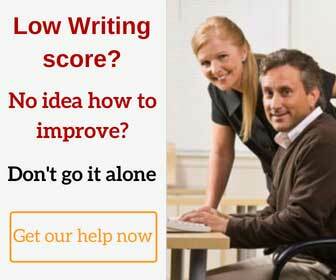 Our writing correction service can help you understand what mistakes are causing your score to remain low. Hi Gurvinder, check your Spam folder and if you see our emails there, please mark them as Not Spam. Alternatively, subscribe through a more reliable email provider such as Gmail – our newsletters are delivered to Gmail users without an issue. Hi RS, thanks for the message – can you email us your detailed scores in all sub-tests to info@ielts-blog.com and also say what your biggest problems are in each section, we will send you some suggestions how to improve. Now that I have purchased the Ielts Success formula, do i still need ‘Ace the Ielts’ book? Hi Olatunde, IELTS Success Formula has everything Ace the IELTS has and more, there are additional resources in it for Writing and Speaking in particular, this is because it aims to prepare test takers for scoring Band 8 or higher in IELTS. Of course – please go here and subscribe to the latest IELTS questions, topics and tips. You will start receiving them daily to your email. Hi Simone hope you doing well.I need to sit in ISLPR do you have some information regarding this. Hi Jagjit, sorry – I specialise in IELTS, and don’t have much information on ISLPR. Thank you so much for all of the resources you’ve provided. I’ve used many of the model 8 papers with my students. Fantastic resources! That’s wonderful, thanks for the comment, Dustin! I am looking for essay corrections.If I send 8 tasks together will I get them corrected in three days Please Explain and one more question,are you an Ex-Ielts examiner. HI I recently took the IELTS advanced test. The first time I was not satisfied with my writing results but didn’t get it remarked. The second time I received a 6.5 in speaking. (I am Canadian) I have perfect English. So I got it remarked and received an 8.5. How is a difference that big possible? I would advise Everyone who is not satisfied with their results and takes the exam in Bulgaria to get an EOR. Clearly they’re failing people on purpose or just don’t know English. Hi Shaheen, thanks for your comment – yes, you can send 8 essays in one day, and get them back corrected 3 days later. Just make sure each essay goes to us in a separate email message – but we will send you detailed instructions how to submit them, so don’t worry. The IELTS teachers checking essays on our writing correction team have a great deal of experience, they would have checked thousands of tasks, you can trust them with checking yours. Please help me how to find the exact answer in true false and matching the headings. I would like to know…if I apply for reevaluation…is there any chance of getting lower score than the existing one. What is fee for ….they charge for per paper or same for any no of papers. Hi, after purchase the IELTS success forma thinking that I could print it, I discovered that the format ia totally incompatible with any other sistem but kindle. What do I need to do in order to print it? I really like the book, but I think it would be more useful for me in a phisic format. Kind regards and thanks. Hi Fabilola, I am guessing you purchased the Kindle edition of IELTS Success Formula on Amazon. If you can forward your receipt to us, we will be happy to send you a download link to the book in PDF format which you can easily print. Just email us to info@ielts-blog.com and either me or another IELTS support team member will be happy to help. Hi can u help me for ielts preparation for general test,bcos i hav never done before.so,what should i learn for general. Hi Jamyang, if you sign up to our daily IELTS emails (enter your name and email address at the top of this page) we will start sending you detailed info how you can prepare for the exam, on your own, in the privacy of your home. It’s very helpful, I started learning IELTS two days ago from ABE Overseas in Delhi. Can you help me to find the more practice mock test? Can you give sample question answer for speaking whatever asked in past kelta exams in different countries? Hi Toni, certainly, you can use these online free practice tests here, and when you need some more to simulate the real exam, you can get these downloadable practice tests. They aren’t free but very affordable and close to the level of difficulty of the real exam. I am unable to subscribe to your blog. Hi Aashin, we added you manually to our subscribers list, you would have received an activation email – can you please click on the link in it, to start your free subscription. Hi Sarah, welcome to IELTS-Blog.com! We’re always happy to help. You can find tips on writing an essay here, and sample essays are here. Also, if you subscribe to our daily IELTS emails here, you will receive lots of useful tips, techniques and materials straight to your Inbox. You can always email us and ask any questions, just write to info@ielts-blog.com . I am not quite happy with my IELTS results and would like to apply for revaluation. Is there a chance that my marks get actually decreased if I file a EOR form? Hi Tammy, yes there is a chance your score can go down, just as well as go up or remain unchanged. What you can do is ask to remark only the sub-test(s) you’re not happy with (Listening, Reading, Writing or Speaking). Assuming the current scores in those sub-tests don’t help you and you’d have to retake the test if remarking doesn’t increase your score, it seems you have nothing to lose, right? Hi Vimmi, if you purchased your books on our website, or on Amazon, please look at the first page of any Listening test. At the top of the page there is a box with web address, that you need to type in your browser. That will take you to the page where you can download all the audio recordings for your books. I am trying to study for IELTS but my grammar isn’t better and I have not a lot of synonym words.If I want to speak or write something,I can get only one sentence to say or write. Hi Noreen, it may help if you read high-scoring IELTS essays,letters and reports that other people wrote, because you can learn new types of sentences, synonyms and expressions you can use in your own writing. Hi Rehan, you can find the pricing of our writing correction service here. You can purchase any package on that webpage as well. I got 5.5 in writing, but want 6.5, so what I have to do? Hi Karan, I recommend that you send your writing to our teachers, to get their feedback and suggestions what you need to improve to get a higher score. Visit this page to choose a writing correction package, make a payment and start emailing your essays to our teachers. They will mark them and return to you, with feedback and an estimated IELTS score. I’ve just come across your website this morning. I sit an Academic IELTS exam 10 years ago and got 6.5. This time I am aiming for an General Training IELTS score of 8.5. If I buy your book and find it unhelpful, please tell me what is the return process? I’m very sorry if my question make you feel uncomfortable. Hi Khanh, this is a totally reasonable question, and a very good one to ask! If you find that any of our books or practice tests aren’t right for you, for any reason, just email us to let us know, and your money will be refunded straight away. I must say this very rarely happens – but in case you don’t benefit from our materials, we would never keep your money. I need overall 7 and 6.5 in each. I scored 6.5 in speaking, 6 in writing, and 5 in reading and listening as well. Please let me know how to improve reading section. Hi Mala, you can get better at Listening and Reading with the help of some tips to improve your performance. For example, there is a way to listen actively and avoid missing answers when you hear them. Check out the free trial of IELTS books ‘Target Band 7’ and ‘Ace the IELTS’ available here. I would like to ask which of your ebook would best suit my situation, if my interest resides in enhancing my writing skills, and overcome the 6.5 score, that I had accomplished in three successive IELTS GT attempts. My target is to reach the 7 band score, though that more than that (7.5) would be surely beneficial. Hello MI, depending on the amount of time you have left to study, I recommend Ace the IELTS if you have about 3 weeks until your exam, or IELTS Success Formula if you have 6+ weeks of preparation left. ‘Ace the IELTS’ is more condensed and it can help you get Band 7 or 7.5, and if you’re aiming at Band 8+ then IELTS Success Formula will be a better fit, because it has lots of additional resources (vocabulary, grammar, sentence formation) that you will need to lift your score. Thanks Ms. Simone for your prompt reply. I will consider the IELTS FORMULA ebook, as I still did not book a test schedule. Last question, if I would like to purchase the Kindle version (Amazon) , could I download the PDF version of the file ? Hi MI, when you purchase on Amazon Kindle, you will be downloading the book in Kindle format to be read on your Kindle device or in app. When you purchase on our website, you download the book in PDF format and the audio recordings in mp3 format, and you can read the book on any computer, tablet or mobile phone. You will also receive free IELTS practice tests and other bonuses when purchasing on our website. I am Divyesh Bulsara From India.I am Preparing for IELTS General Training. But I dont get my Target band. Please give me Proper Suggestion so I can Easily achive my Goal. I am Very Tense about my Exam Preparations. I am Getting my 100% to this Exam but When I done my Mock Test I dint achieve my Band. Please give me Proper Guidance. Hello Sri, the difference between the offer on Amazon and our website is that we give you 10 complete practice tests with the book and several other bonuses (the details are here, read what it says under “Free Bonus #1, #2”, etc). On Amazon you only get the book. I’m Najia from Bangladesh.I’m preparing for academic exam.when I sit for mock test,I didn’t get my target band.please give me proper suggestion. I’m worried about writing, reading and speaking module.Thank you.